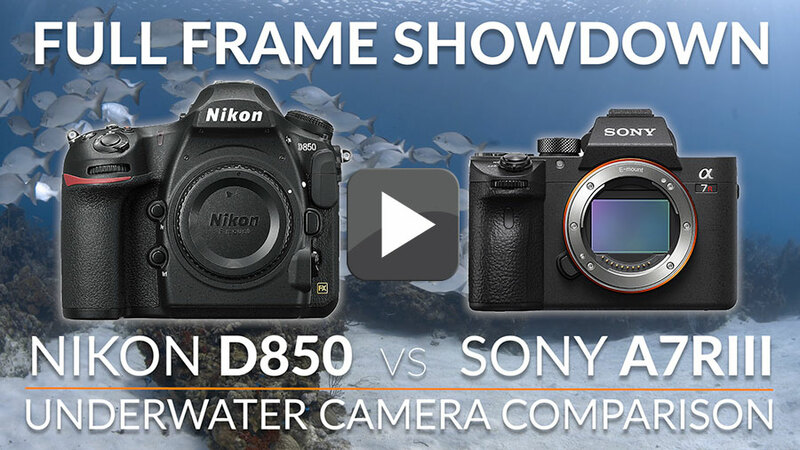 Over the last few months, we’ve had a chance to test two of the world’s most popular professional camera bodies, the Sony a7R III and the Nikon D850, to gauge their strengths and weaknesses shooting underwater. Backscatter CEO Jim Decker and media producer Robin Dodd sat down to discuss camera features, lenses, and a few of the drawbacks of each. Check out the video below or scroll further and read on. We’re trying out a bit of a new format with this video. It’s a long format but the discussion is filled with the kinds of details that us underwater photographers need to know. We hope you enjoy and please leave us some feedback letting us know whether you’d like to see more content like this! CLICK HERE for more info on the comparison and our full run down. Why buy direct from Backscatter? Free shipping to USA and Canada and low-cost international shipping.